Beautiful young woman relaxing in jacuzzi bath spa, attractive girl with clean fresh skin relaxing foam in bathroom. beauty face skin care. facial treatment brunette enjoying at home. Young woman relaxing in bath. Skincare. Wellness. Beautiful Young woman relaxing in jacuzzi bath spa, Attractive girl with Clean Fresh Skin relaxing foam bath in bathroom. Beauty face care. Facial treatment brunette enjoying. Skincare. Wellness. Young woman relaxing in jacuzzi bath spa, brunette enjoying foam bath in bathroom. Beauty skin care treatment. Beautiful model relax at home. Young woman relaxing in foam jacuzzi bath spa, brunette enjoying the aromatherapy in wellness center. Beauty skin care treatment. Beautiful model relax in bathroom at home. Young woman relaxing in foam jacuzzi bath spa, brunette enjoying the aromatherapy in wellness center. Beautiful model in luxury spa resort. Beauty skin care treatment. Fashion brunette girl with long wavy hair, beauty makeup, luxury jewelry. Beautiful attractive young woman in dress of sequin posing over holiday lights background. Autumn Girl Portrait. 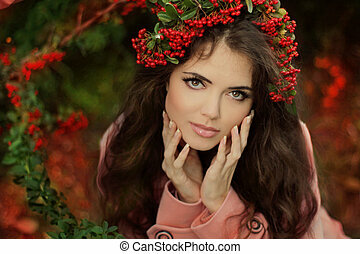 Beautiful young brunette Woman in red berries chaplet at the autumn park. Outdoor shot. 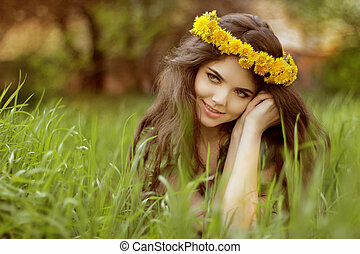 Beautiful Brunette Woman Portrait with healthy Hair. Clear Fresh Skin. Smiling Girl Isolated on a White Background.